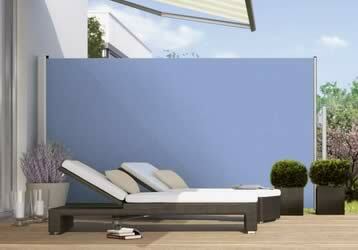 Roché offer an extensive selection of accessories to complete your patio area. With integrated sensors, heating and lighting available, you’ll find everything you need to complete your al fresco living space. 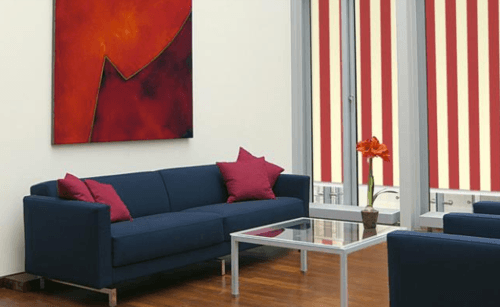 Product suitability varies dependent on awning model or glass room specification – call our team to discuss your options. 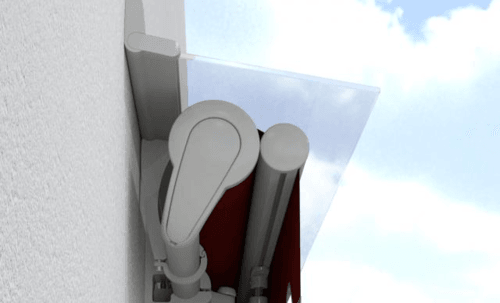 Extend and retract your awning in the touch of a button with remote control operation. Multi channel options enable you to control compatible lighting and heating systems too. 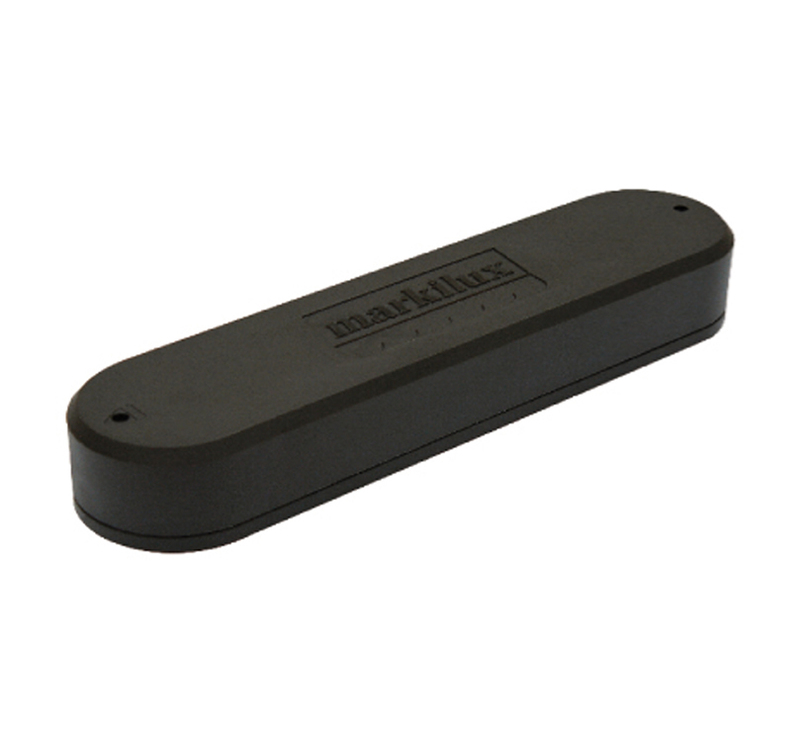 Protect your awning in windy conditions with the Markilux Vibrabox. It uses sensors to detect wind vibrations, automatically retracting the awning as speeds pick up. 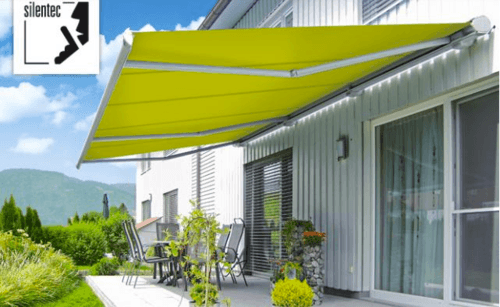 These detect changes in the weather and act accordingly, so you can relax knowing your awning will always be in the right position. They will protect the awning in blustery conditions, and ensure it’s always ready when the sun is out. 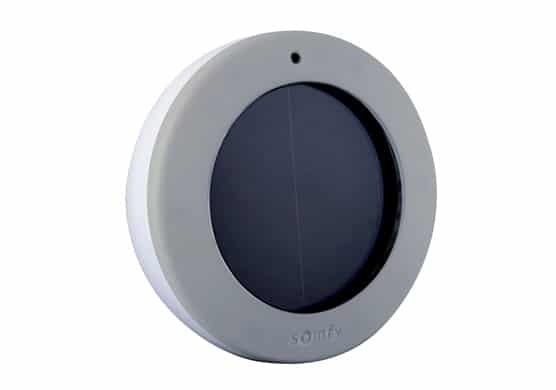 Sun sensors tell your awning exactly when to retract and extend based on light levels. Built-in solar cells mean they don’t need to be wired into the mains. 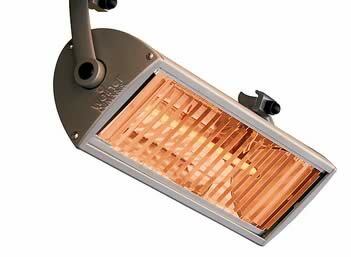 The Markilux infra-red heater provides warmth all year round. Enjoy instant heat and a glowing light effect from a stylish integrated housing design. 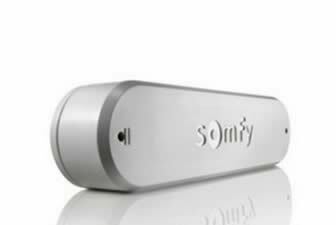 It is weather proof and can be controlled with your remote control. 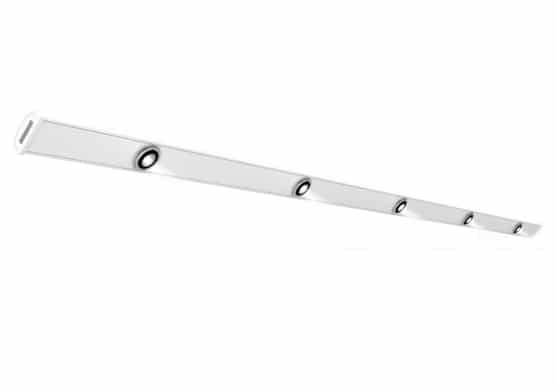 Brighten up your patio area with this lighting bar. It is fixed to the wall, meaning it can be installed with a new awning or retrofitted. 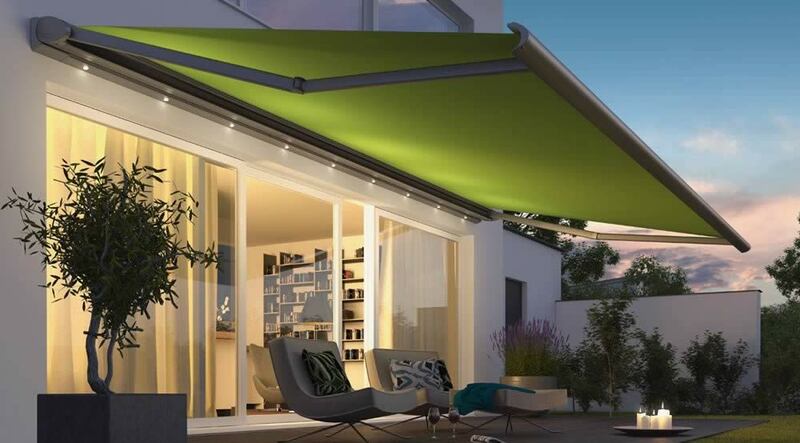 Its sleek design complements a Markilux awning perfectly. Combining infra-red warmth with individually rotating lights, the Markilux Hotspot provides the ultimate in comfort. It fixes directly to the wall or glass roof ceiling for maximum flexibility. Silentec’s patented technology uses special motor insulation techniques to significantly reduce the noise caused by vibrations to the awning cassette. 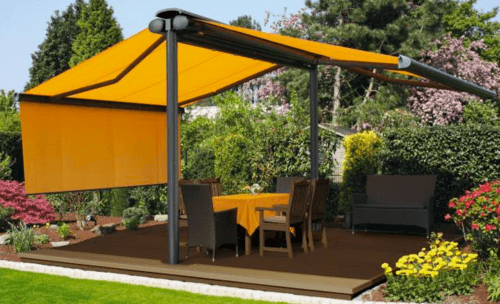 Extending and retracting an awning has never been so quiet. Perfect the degree of shading, wherever the sun is in the sky. This drop valance extends your awning with a fabric panel lowered from the front profile. It encloses your patio area and provides a room-like feeling. Add protection to an open awning with a system coverboard. An optional LED light rope can be integrated for the perfect finishing touch. Retract your awning without having to brave the elements. This practical and simple interior winding handle uses a tilting bearing placed on the inside wall. Suitable for vertical awnings. Valances and awning covers are an effective way to display your brand or sponsor. 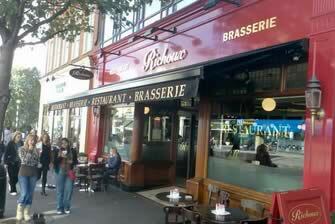 Using high quality signwriting techniques, this extra detail is ideal for commercial awnings. The Weinor BiConnect system makes operating your sun protection, lighting and heating simple. 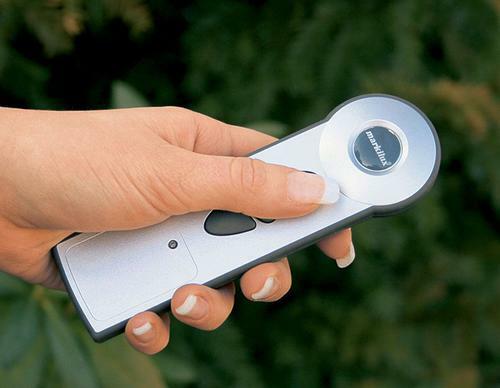 Easy-to-use remote controls and an iPhone/iPad app let you tweak your surroundings in the push of a button. 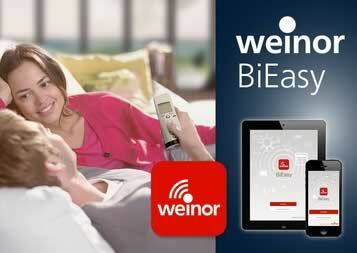 Weinor’s advanced sensors provide effortless operation and peace of mind. 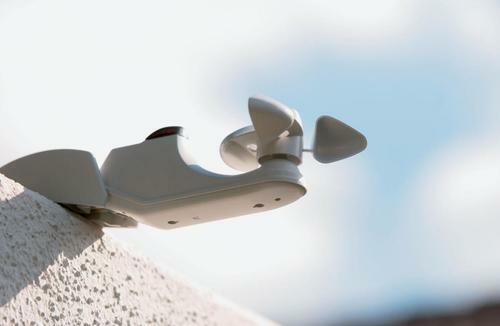 Choose a sun sensor, sun and wind sensor or an all-in-one sun, wind and rain sensor. Solar powered options provide hassle-free installation. Protect your awning even while you’re away with the Eolis vibration sensor. This feature will retract the awning as wind speeds pick up, protecting the mechanism from damage. 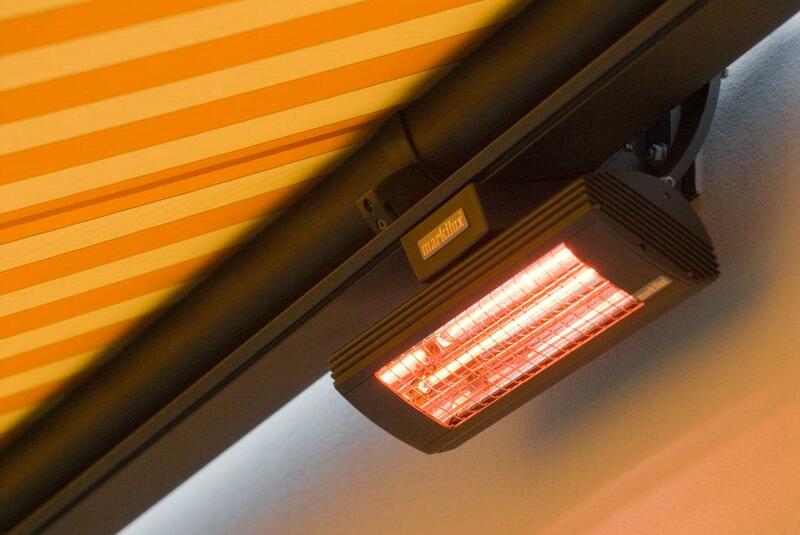 Weinor’s infrared heaters reach full heat in an instant, with an extremely efficient and safe design. They can be fitted to new or existing awnings and are available in 200 RAL colours. Warm white light for even more hours of enjoyment on the patio. 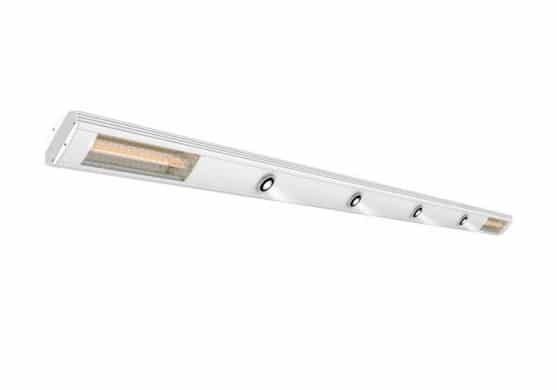 Modern LED technology provides an energy efficient lighting with an unbelievably long lifetime. The light bars can be operated using the BiConnect remote control. The stylish Paravento side awning shelters you from curious onlookers, sunlight and fresh side winds. Customise the frame colour and fabric design to match your folding arm awning. 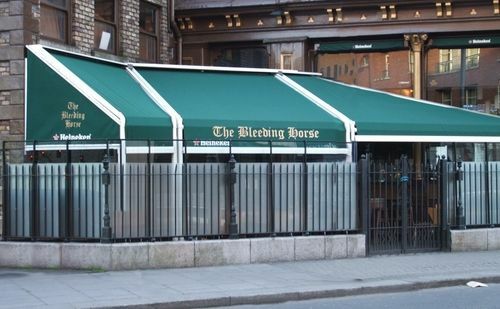 Customise your awning cover or valance with your branding. Roché offer signwriting on Weinor and Markilux products, finished to the highest standards. A popular choice for shops, cafés and restaurants.